Are you looking for the best breastfeeding chair for your nursery? Putting yourself in a comfortable position will make nursing sessions easier on yourself and your newborn. At La-Z-Boy Home Furnishings & Décor, we’ve helped hundreds of parents find a comfortable chair that’s perfect for nursing their newborn. In this article, we’ll take a look at the best breastfeeding chair for your nursery. La-Z-Boy Recliners have been popular nursery chairs for a long time. They’re loved for their ability to rock or glide because gentle movement does a great job of calming cranky babies. Plus, La-Z-Boy is the only brand of recliner that allows you to recline without putting your legrest up. This position let’s your baby rest on your chest while they’re nursing. Before you buy, make sure you get fitted for a recliner because sitting in a recliner that doesn’t fit your body can cause unnecessary pain. At La-Z-Boy Home Furnishings & Décor, we can customize most of our furniture with over 900 fabrics. We also offer stain-resistant fabric treatment to keep spills from turning into stains. Most spills on our stain-resistant fabrics can be cleaned by blotting with a paper towel. However, tougher spills may require a mild soap and water mixture. Stain-resistant fabrics will give you peace of mind so you can focus on breastfeeding without having to worry about spills. Before you get overwhelmed with the number or fabrics, styles, and options you’ll have to choose from – take a deep breath. 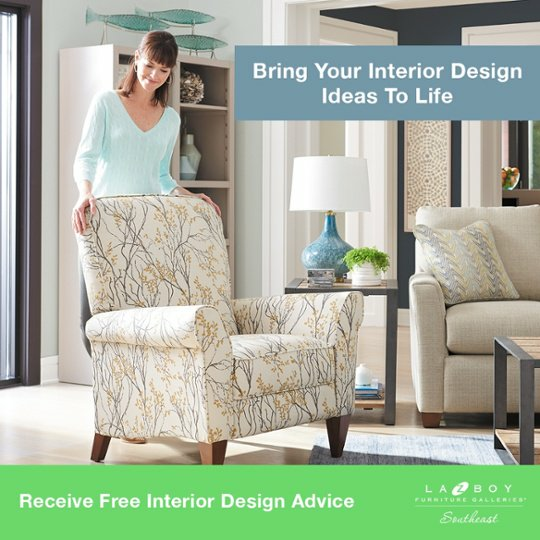 At La-Z-Boy Home Furnishings & Décor, you’re able to work with a professional interior designer for free. 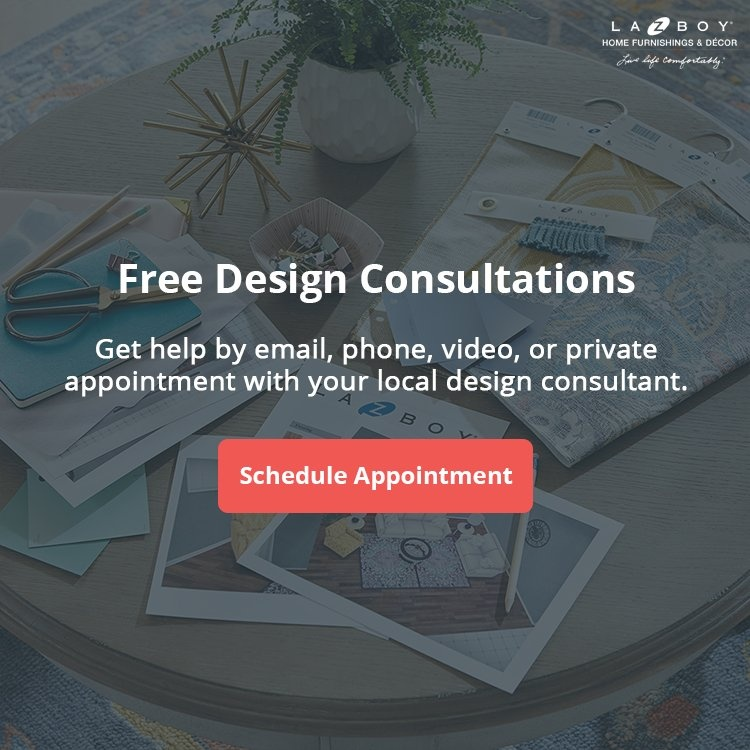 From small updates to entire transformations, our free design service will help you create the nursery room of your dreams. Breastfeeding in a La-Z-Boy Recliner will put you and your baby in the most comfortable position possible. 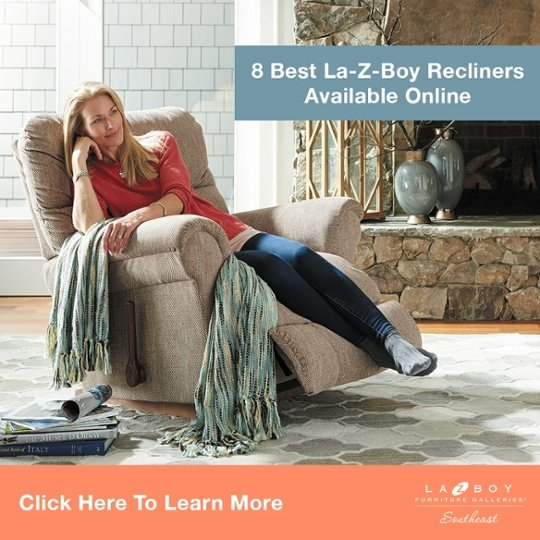 At La-Z-Boy Home Furnishings & Décor, our experts will fit you for a recliner that’s perfect for your unique body type. Plus, our free design service can help you design the nursery room you’ve always wanted. We’d be happy to help you find the best breastfeeding chair for your family at any of our locations in NC, SC, and GA.